Well, I made it home from OnStage yesterday and I am exhausted. 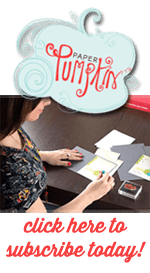 OnStage is the Demonstrator only convention that Stampin Up puts on twice a year. I’ll share a recap of our weekend adventure soon but in the meantime, I wanted to share the little gifts I made for my Downline members that attended the event. I stocked up on the Mini Pizza Boxes that were in the Holiday Catalog last Fall. They are the perfect size to include a couple fun little goodies without breaking the bank. I used the new Basket Weave embossing folder that was released as a Sale-abration item. If you missed out on the folder, you can purchase it from the new Catalog when it comes out in June. However, the adorable basket stamp set retired with Sale-abration. To make the tags, I started by die cutting the white circles and stamped the basket on the edge of the circle. Then I stamped it a second time on another sheet of card stock so I could cut out just the flowers. The flowers are colored in using our Stampin Blends and then added on top with dimensionals. If you missed getting the Blends before they went on back-order last month, they are due to be back in stock just in time for the new Catalog in June. 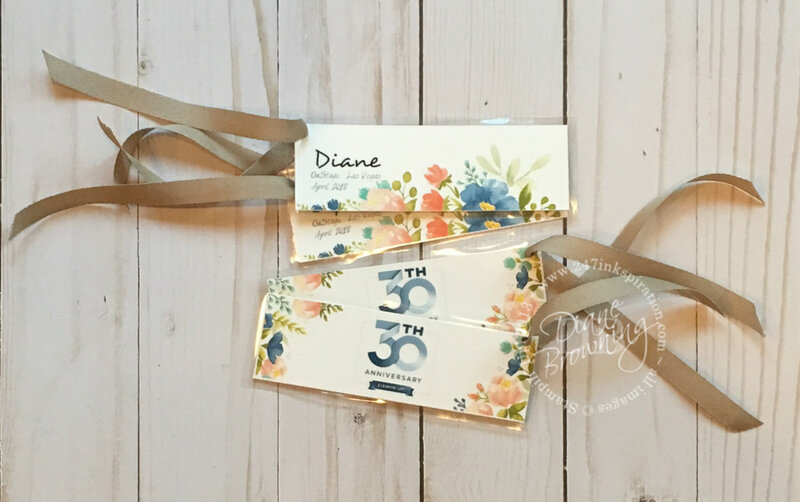 For every Stampin Up event that we attend, I make bag tags with our names and phone numbers to coordinate with the color scheme for the event. These florals came from the new marketing material they’ve added to the Demonstrator website. For the last couple events, I’ve tried to remember to put the event date or location on the tag itself so it becomes a keepsake for the event. This time I remembered to put both the date and the location.